Why hold your next business meeting, executive retreat or luncheon indoors when scenic San Diego Bay awaits you on a corporate charter? Sail Jada Charters provides all the amenities and extras you'll need to hold a successful meeting or executive retreat. Impress a prospective client or your colleagues and close the deal aboard a Sail Jada luxury yacht. Tired of those lazy afternoons on the golf course with your colleagues and business partners? Well neither are we, but how about something different for a change? Plan your next business meeting on one of our first-class yachts. As Southern Californians, we enjoy our great weather and the outdoors as much as possible. Even our business culture has evolved around the Southern California lifestyle. It’s not uncommon for business to be conducted at a stylish beach café or on surf boards paddling out to catch an early morning wave. Thinking outside the box is encouraged and is what makes California unique and prosperous. Individuals in the workplace spend more than 50% of their time working together in teams. 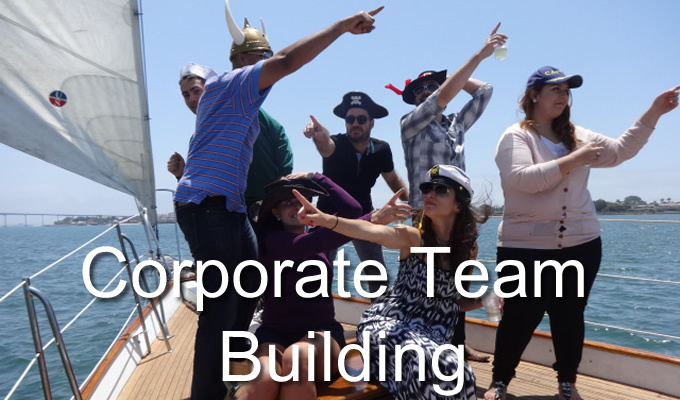 Team building gives your organization a great advantage in today’s competitive business world. 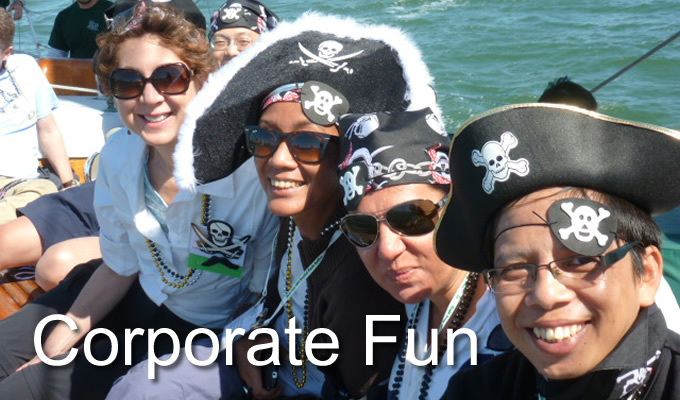 Let Sail Jada Charters help organize a team building event for your company that you’ll never forget. Whether you chose one of our sailing yachts or luxury power yachts, you and your team will experience the powerful and positive effects of team building together outside on the water surrounded by one of the most scenic coastal areas in the world. In San Diego for a Conference? Sail Jada Charters regularly hosts dinner and after dinner cruises for groups in town for conferences and conventions. 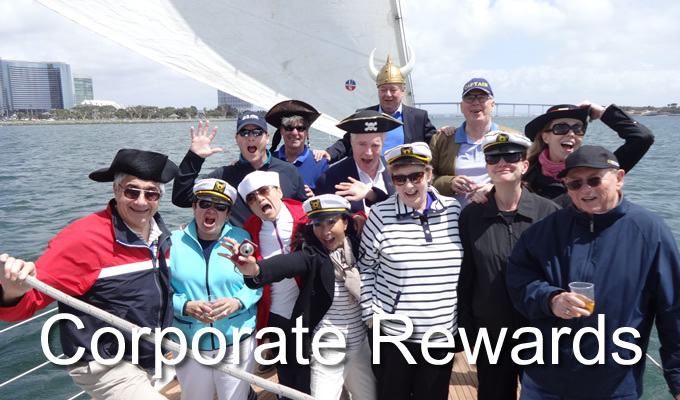 Reward your employees, team, or business partners by treating them to a cruise around downtown in San Diego Bay. And if you happen to be in San Diego during one of our warm summer evenings, you and your guests will be treated to nearby Sea World’s nightly fireworks shows over the water against the backdrop of San Diego’s beautiful skyline. Sail Jada Charters offer individuals and groups the thrilling opportunity to sail aboard a beautiful San Diego yacht. Providing a variety of public charters and private charters, including sunset cruises and whale watching, Sail Jada Charters promises that your next outing will be beautifully memorable. Call (858) 222-9479 to learn more today.